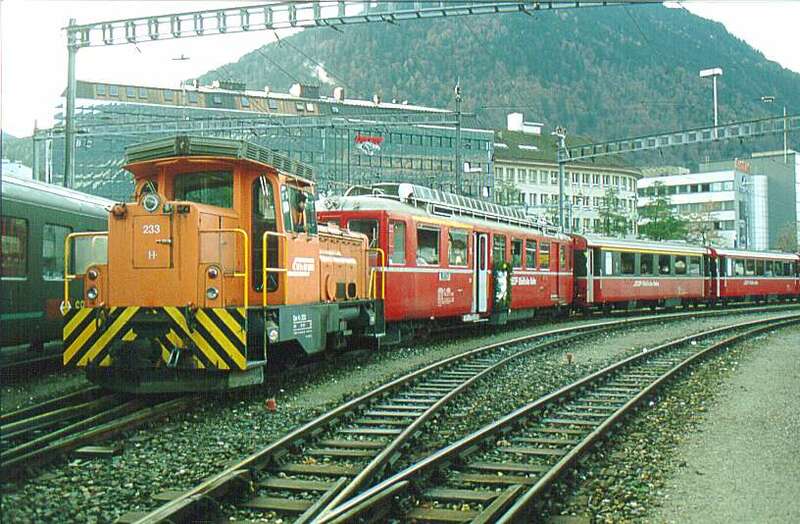 The railcars ABe 4/4 30-34 can be used both at the Bernina and at the Chur-Arosa line. They are needed especially in winter for high peak traffic. 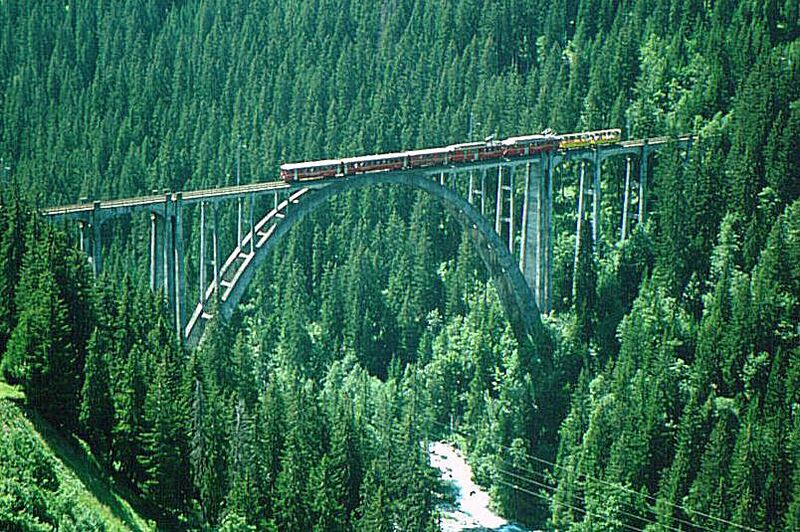 The 1913 built Langwies viaduct is one of the first pre-stressed concrete bridges in the world. 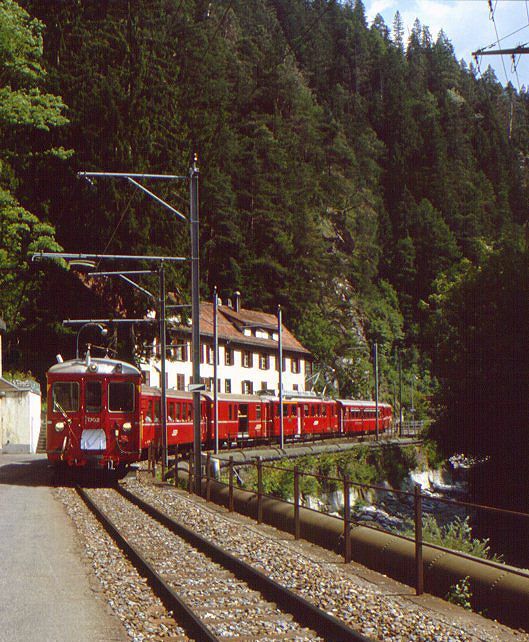 The train has two panoramic coaches at his end. 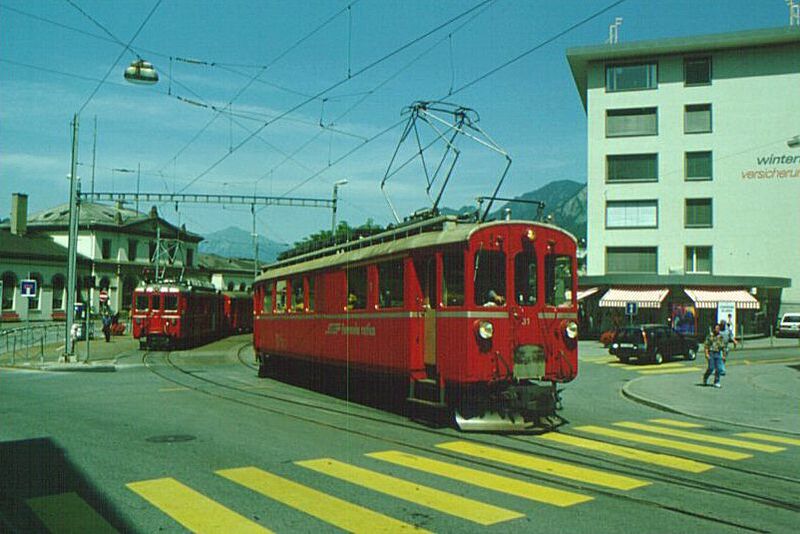 This picture shows the last train drawn by an DC powered railcar. 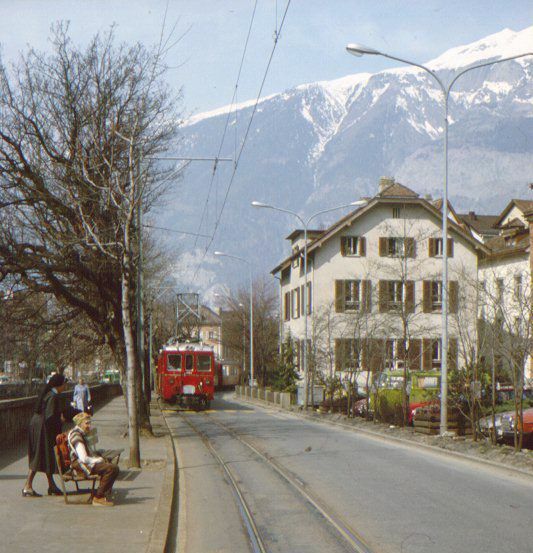 The shunter Gm 3/3 233 pulls it to the main workshop in Landquart. 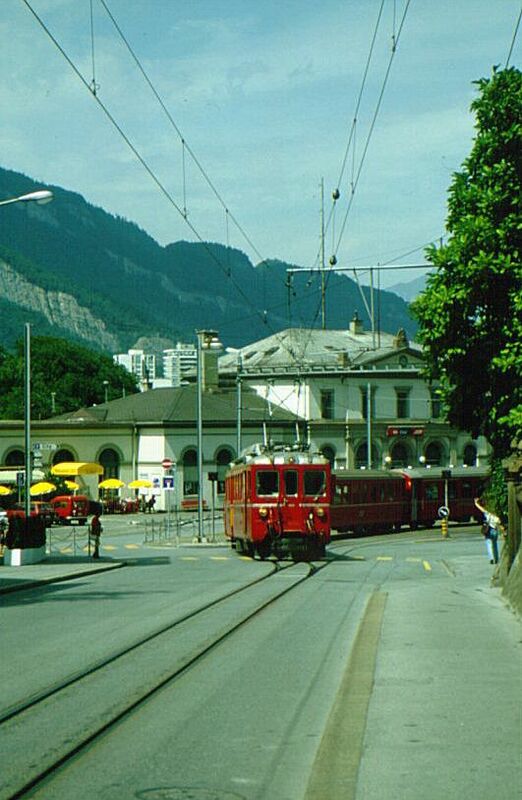 On the party for the reelectrification the modern Arosa-Express was shown first time to the public. 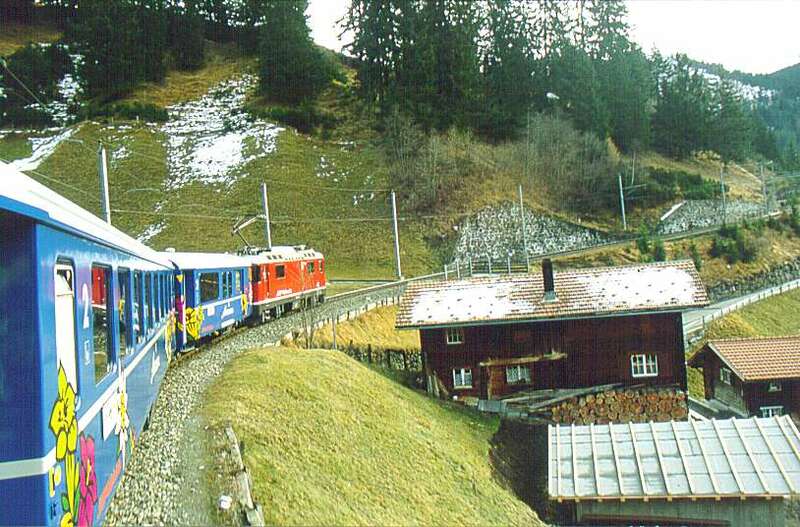 The whole train got a new blue livery with some applications. 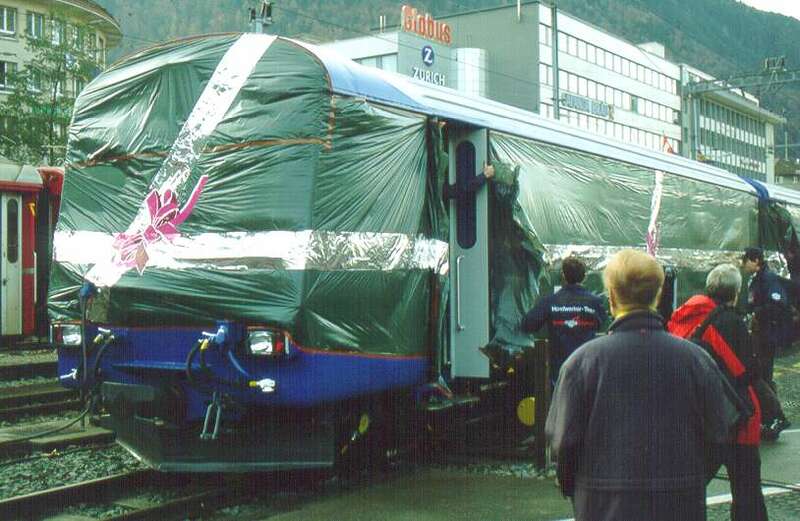 The train was unveiled bei the RhB-team of the main workshop Landquart. 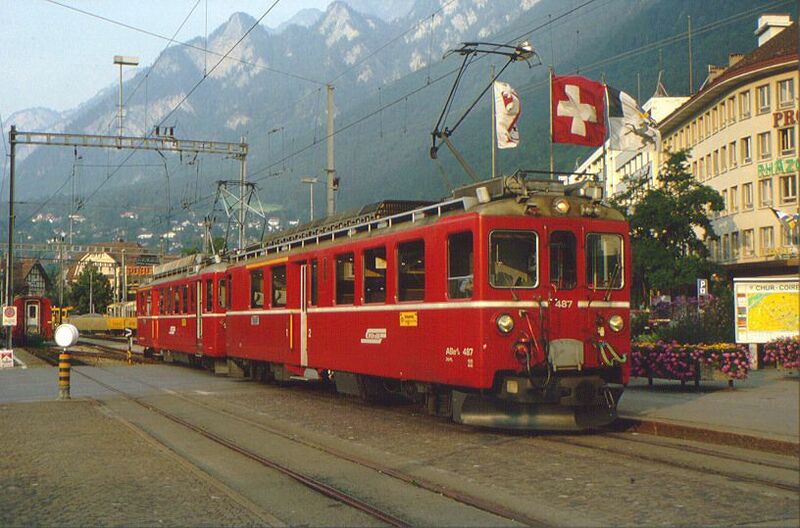 On it's maiden voyage the Arosa-Express was drawn by Ge 4/4 II 622 "Arosa"
This coach was built in 1969. 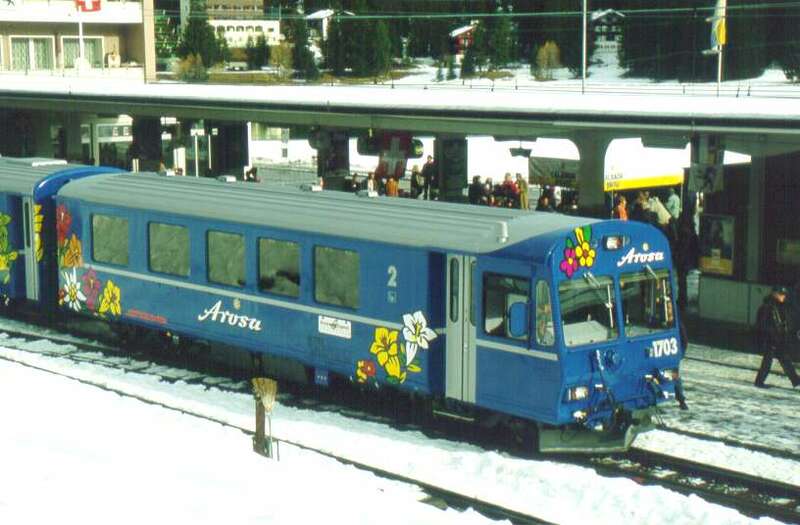 For it's new purpose in the Arosa-Express the coach got a total modernisation with a new driver cab, an new interior and a new livery.